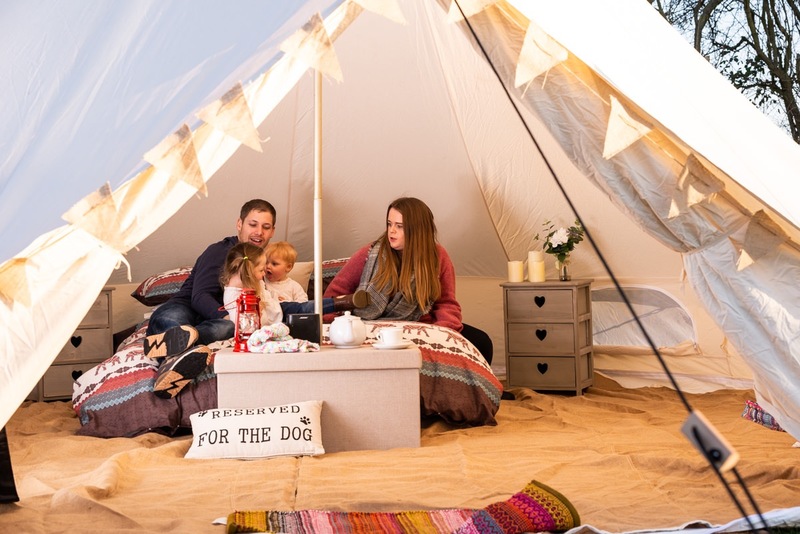 The Kokoon deluxe Bell Tent is ideal for any scenario, whether it’s a family camping trip or for the ultimate camping/Glamping experience! Complete with 14-inch steel metal pegs suitable for any weather condition. Sides of tent role up to enjoy a hot summers day! FREE same day dispatch on all orders over £100 placed before 2pm. 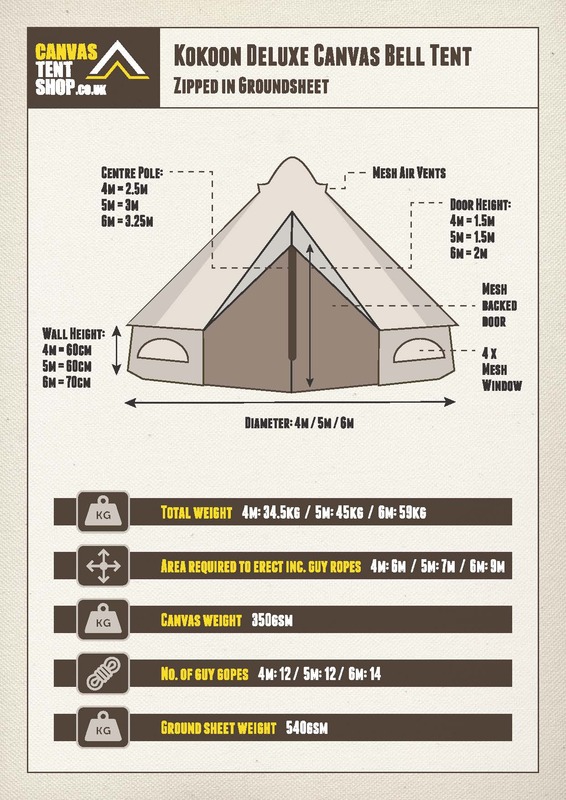 The tent has an easy access zip on the door and includes a zipped-in PVC groundsheet. A waterproof canvas flap is built in to cover the zips, ensuring it is fully waterproof. 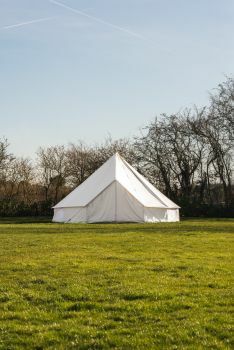 The sides of the bell tent also roll up to increase airflow on those hot days! The beauty of having 100% cotton canvas is that it breathes. This enables you to keep heat in when it's cold and when it's hot it will stay cooler inside of the canvas. Only the finest quality canvas used, no polyester.